The Young Hurricanes get it Done on the Road. 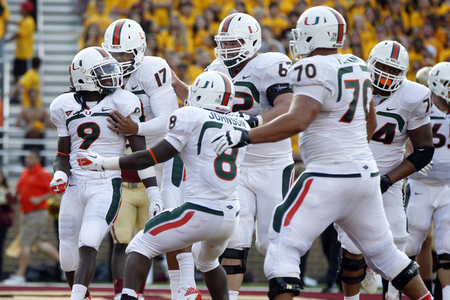 With everyone doubting them, UM overcame an early deficit to take down Boston College with stoic performances by Stephen Morris and Duke Johnson. With a combined 50 freshman and sophomores, this team definitely gives us hopes for the future of UM! What are U excited about with this current Squad?